"Pavon played really well at the Dunhill Links...the Frenchman's third excellent performance on links and he loves playing in the breeze." Given how the CIMB Classic formbook invariably holds up really well, we're going all in on the British Masters in our hunt for outsiders. In stark contrast there, we are spoilt for choice. I will mention six outsiders well worth a punt in some form, with three selected for the staking plan. This renewal at Walton Heath feels particularly promising, for two reasons. First, some really clear angles to exploit. Steve Rawlings lays it all out in his comprehensive preview. We're looking for accurate types who thrive in windy conditions. Second, the presence of so many superstars at the top of the market means inflated odds about numerous well qualified types. First, the man quoted in Steve's piece, confirming how suited he is to this challenge after qualifying for the US Open on this course. Slattery has fared well enough in the last three renewals at different venues, finishing no worse than 31st. Twice a winner on the European Tour, he arrives in decent form after registering his third top-20 in five starts. 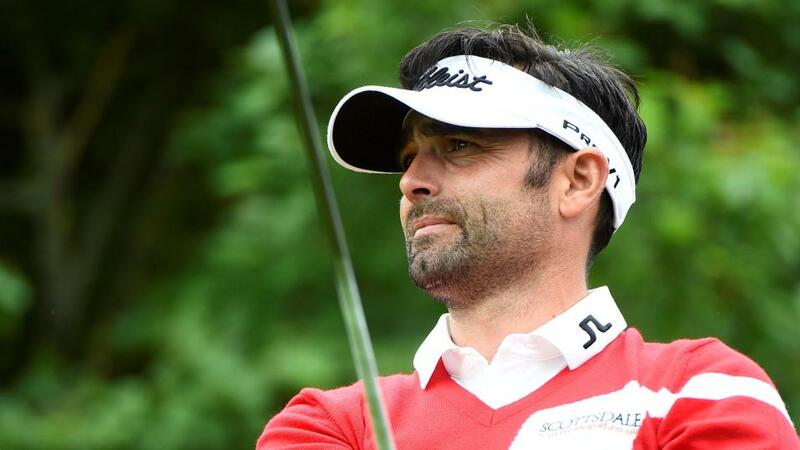 Notably Slattery topped the greens in regulation stats at last week's Dunhill Links. Odds of [210.0] make him a nice win only price but it could be hard to get lay orders matched given the class opposition, whereas five places via the each-way exchange option seems perfectly realistic. Likewise, I wouldn't deter anyone from taking [230.0] about Schwab but, especially as a non-winner, each-way is preferred. Again last week's Dunhill Links, where he slipped back to a still excellent tenth, offers a good form guide. That was the sixth top-ten finish of an excellent rookie campaign, showcasing a long game made for yielding consistent returns. The 23 year-old ranks seventh for greens in regulation among these over the past year, and 15th this season for strokes gained tee to green. Plus he already has some wind pedigree, demonstrated in last week's opening round and a couple of times previously. Given the windy forecast, last week's pick absolutely deserves another chance. Pavon played really well at the Dunhill Links and was on course for a top-ten finish until the closing holes. It was the Frenchman's third excellent performance on links and more pertinently, he loves playing in the breeze. It was blowing over 30mph during his brilliant debut round at the US Open, after which he was sixth. It was also notably windy every day when fifth at the Mauritius Open last December and when third earlier that year in the Scottish and Portugal Opens. If anyone pulls out, Dave Tindall's 80-1 each-way pick Matthew Southgate is first reserve at [140.0]. A renowned links specialist with an excellent long game, he was second in US Open qualifying at Walton Heath. Two more at even bigger odds are also on my list, though ultimately preferred for lesser finishing position targets. Max Kieffer [320.0] has one of the most reliable long games around and has plenty of wind form. He's twice qualified for the US Open at Walton Heath before. So too did Wade Ormsby [600.0] in 2017 and he only missed out this year in a play-off. He's another who hits fairways for fun and thrives in the wind.